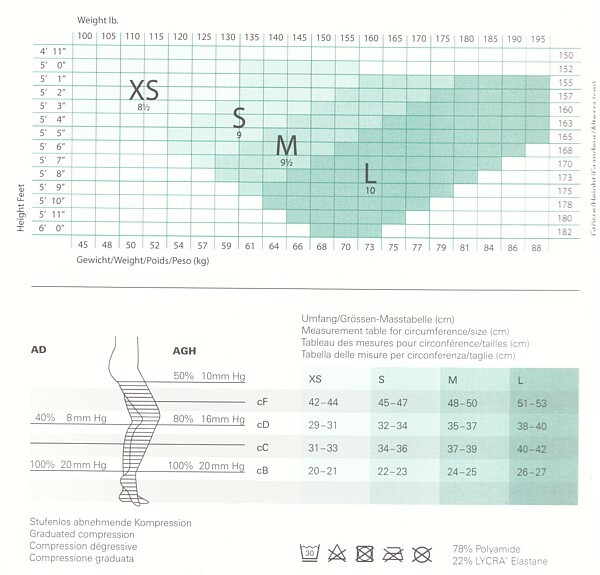 Legline30 is a sheer graduated compression below knee. The sheerest graduated compression below knee designed to provide medically correct compression following sclerotherapy as well as phlebectomy procedures and for effective compression therapy in cases of chronic venous insufficiency. Legline 30 can eliminate the need for unsightly compression bandages or surgical weight compression stockings. Legline30 is a sheer graduated compression below knee. The sheerest graduated compression below knee designed to provide medically correct compression following sclerotherapy as well as phlebectomy procedures and for effective compression therapy in cases of chronic venous insufficiency. Legline 30 can eliminate the need for unsightly compression bandages or surgical weight compression stockings. We recommend you consult a healthcare professional before wearing support hosiery.